October 29, 2014 The protesters who took to the streets during the Arab uprisings beginning in 2010 demanded change to the existing political order. And, if nothing else, the last few years have brought dramatic changes to a number of countries in the region. 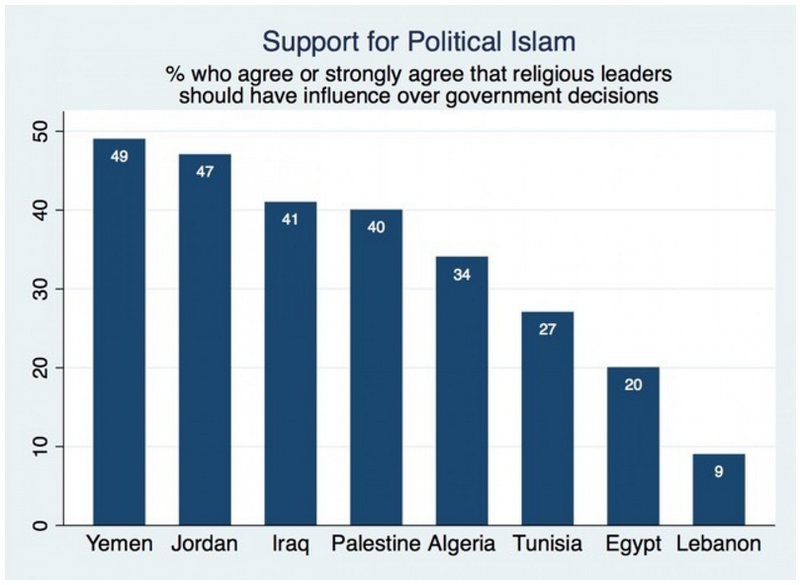 In multiple countries, Islamist parties came to power, and in different instances, have since lost power by resignation, coup and the ballot box. Elsewhere, civil wars rage, calling the experiment with political reform into question. Nearly four years from the first protests, only Tunisia seems to offer the hope of a successful transition to democracy. These ongoing changes across the Arab world have led citizens to reassess their preferences. For example, the Arab Barometer – a project that has conducted public opinion surveys in 14 countries in the region – shows that few Arabs now favor dramatic reforms. In nearly all countries, at least 7-in-10 respondents say reforms should proceed gradually. In Algeria, in the months just after the Arab uprisings, roughly half of respondents said political reforms should proceed gradually compared to 78 percent just two years later. 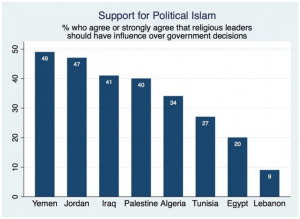 Concerned about the effects ohttp://www.globalmbwatch.com/2013/05/29/recommended-reading-islamism-and-islam/ the short-lived experiments of Islamists in government led to an increase, or a decrease, in support for political Islam? In May 2013, the GMBDW reported on a book by Syrian-born scholar Bassam Tibi titled “Islamism and Islam” that looks at the relationship between Islam as a religion and the political ideology sometimes known as Islamism or Political Islam of which the Muslim Brotherhood is the earliest example.